This stunning frontline beach penthouse is surrounded by ponds and exotic flowers and provides a top solarium with BBQ, eating area, sunbeds and jaccuzi all of this with a wonderful view on the whole coast. The communal swimming pool has a life guard, bar area which sells food and drinks. The complex leads directly out to the beach. 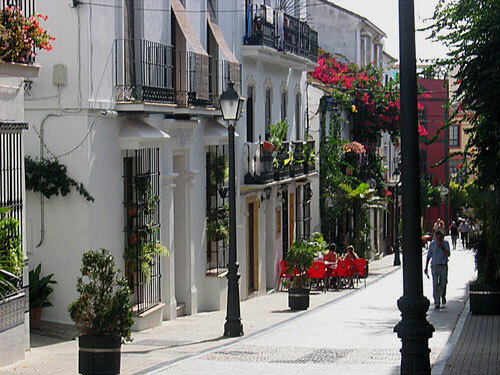 The apartment Mediterranean is located in Marbella area. Bahia de Velerin offers beautiful natural surroundings and is situated on the New Golden Mile between San Pedro de Alcántara and Estepona. This localisation enables you to reach other resorts, towns, cities and villages of Costa del Sol. Puerto Banus and Marbella are at a really short distance from Bahia de Velerin. And in only 40 minutes drive you can reach Gibraltar. Stunning beach Marbella apartment located in Bahia del Velerin, Estepona offering a 3 levels apartment with a top solarium with a wonderful view on Marbella’s coast.